MID-EIGHTEENTH CENTURY ITALIAN GARDE A MANGER WITH TWO DOORS, TWO SCREENED OPENINGS AND ORIGINAL PAINT. CIRCA 1760. 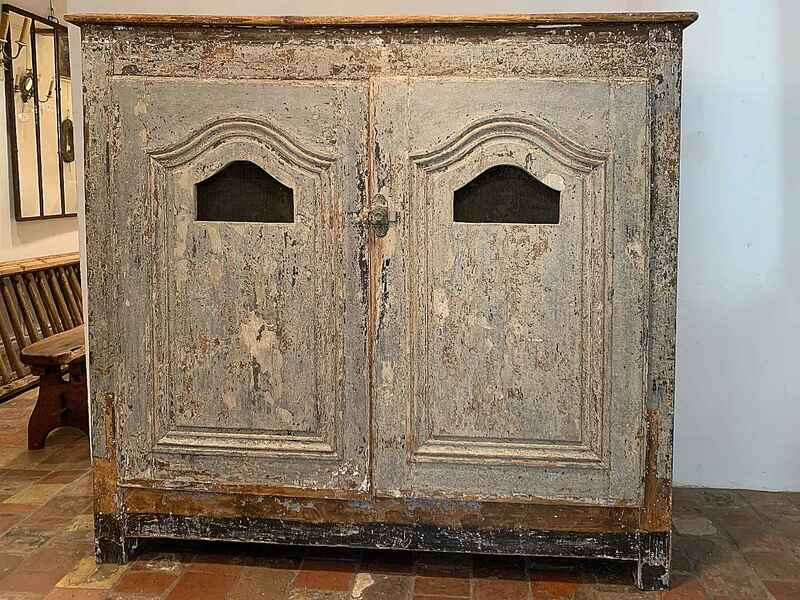 H 65" W 69" D 26"
MID-EIGHTEENTH CENTURY ITALIAN GARDE A MANGER WITH TWO DOORS, TWO SCREENED OPENINGS AND ORIGINAL PAINT. CIRCA 1760. H 65" W 69" D 26"
See something you like? Want to see it in person? Make an appointment so we can have the item ready for your visit.